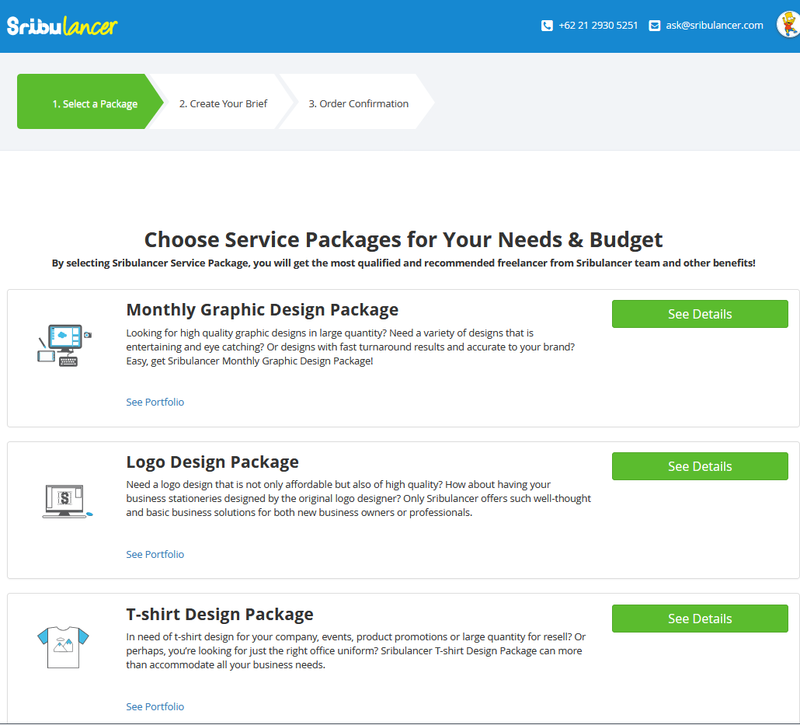 Sribulancer Packages is a collection of our most favorite packages that have helped clients and their businesses. 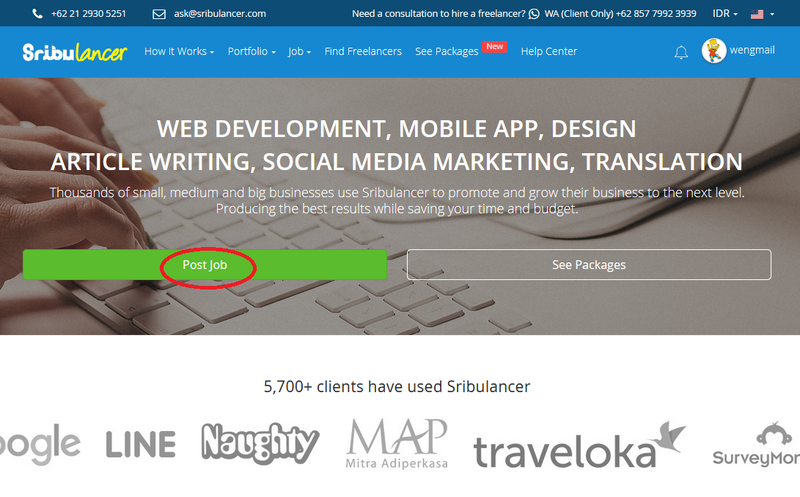 Through our recommendations, we help select Trusted Freelancers to handle all your needs. All Sribulancer packages are designed for the most efficient and covenient service for our clients. 2. 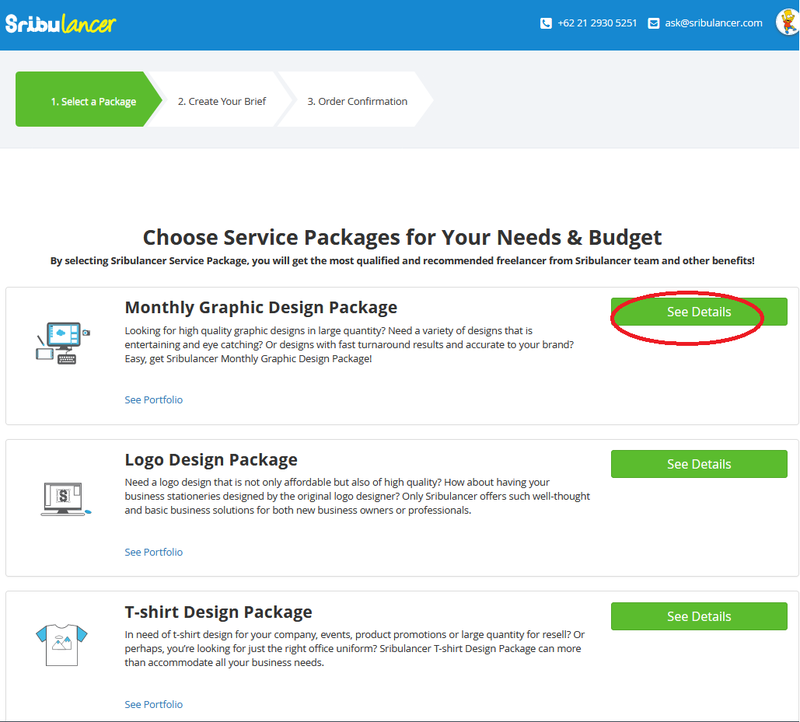 You will be directed on a page where all of Sribulancer packages are listed for you. 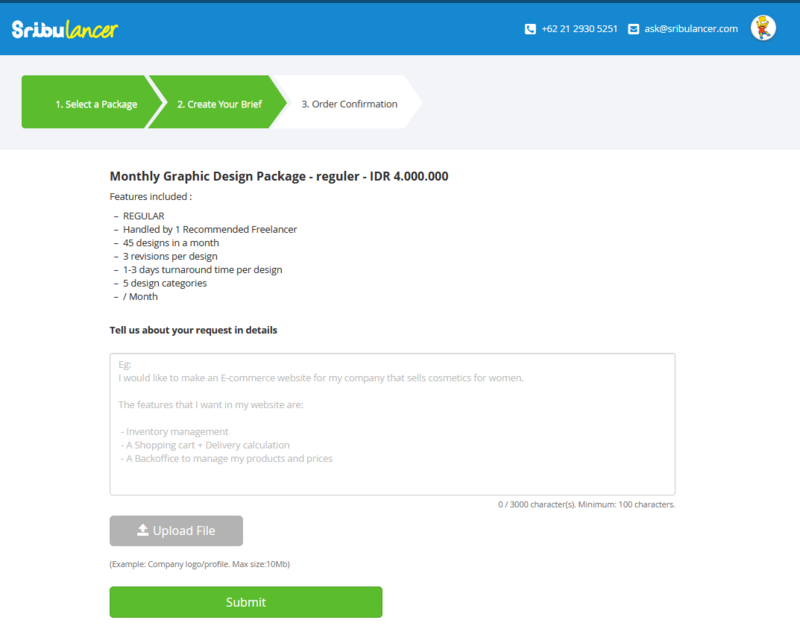 Choose the package you want and click "See details" for more information. 3. 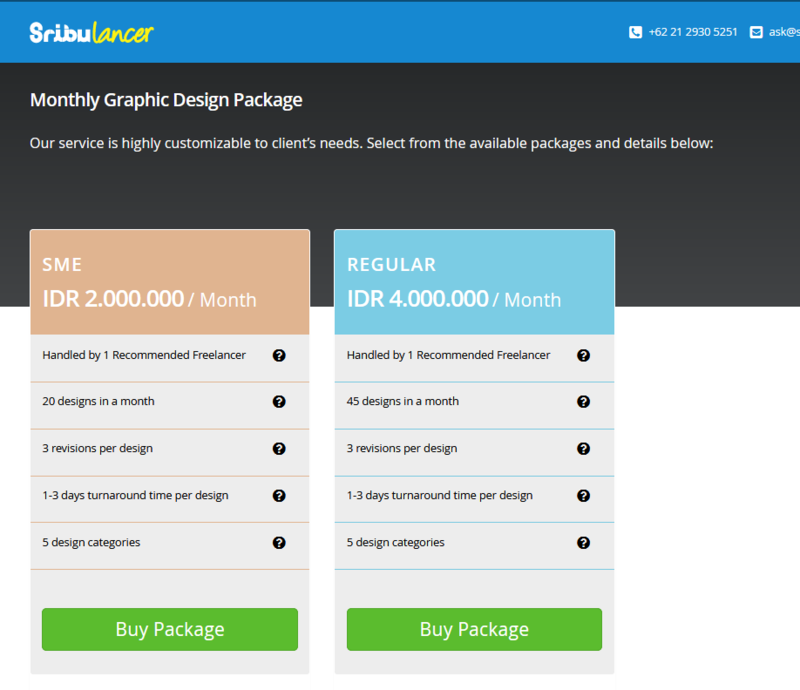 Choose from the available package after you read through the price and details on each type of package. Click "Buy" to continue. 4. You will be directed to the next page to fill out the descriptions and information as to your purchase intention. Use the provided space, upload a file (if any) by clicking the "Upload file" button and click "Submit" to proceed. 6. 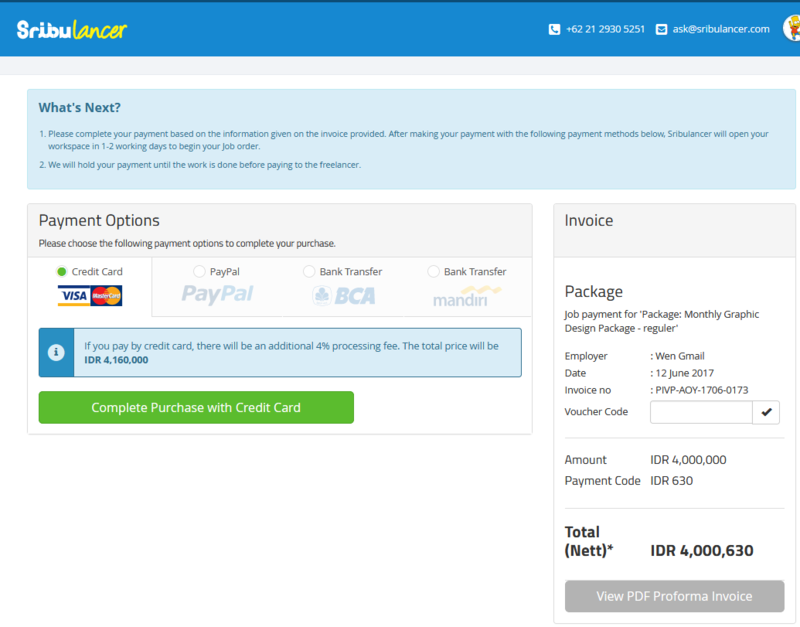 Once you've completed your payment, you will receive and email payment confirmation from Sribulancer. A workspace will then be opened for you and Sribu will assign Trusted Freelancers to work on your job. All work will be completed as your expectation based on the agreed terms of each package.